This year I made a variety of cupcakes for my coworkers. 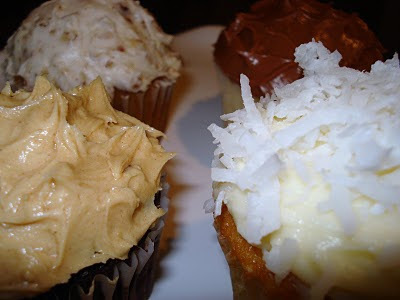 I gave everyone one of each: carrot cake, yellow w/ chocolate frosting, chocolate with pb frosting and coconut. And I found these great inexpensive cupcake boxes which were perfect!